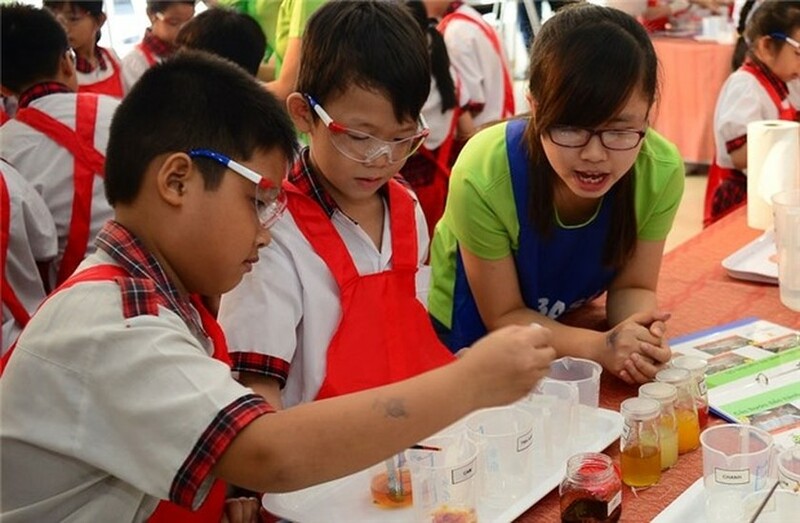 Nearly 500 primary school students in HCM City yesterday took part BASF Kids’ Lab 2016, an interactive education programme, which emphasises the critical role of water in daily lives and how chemistry can be used to help water conservation. 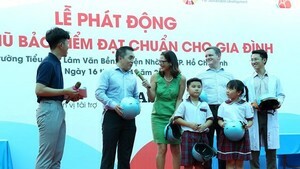 Participants included students from schools in areas where access to clean water is an important issue for local residents, including Tân Quy Primary School in District 7, Dương Văn Lịch and Lê Quang Định Schools in Nhà Bè District, and Lý Nhơn, Tam Thôn Hiệp and An Thới Đông schools in Cần Giờ District. During the water purification experiment, students learned how dirty water is purified and turned into clean water by using activated charcoal. The experiment underscores the value of clean drinking water and the importance of purifying wastewater from houses and factories, to be recycled and reused before it flows back into the rivers and lakes. The water storage experiment teaches students how a chemical compound called superabsorbent polymer can absorb water and offer a wide variety of applications in daily life, including baby diapers. BASF Kids’ Lab is designed to help children learn at an early age about how chemistry can improve quality of life and conserve natural resources. The program was co-organised by the city’s Department of Education and Training and the chemical company BASF for the sixth consecutive year, reaching nearly 3,000 local students.